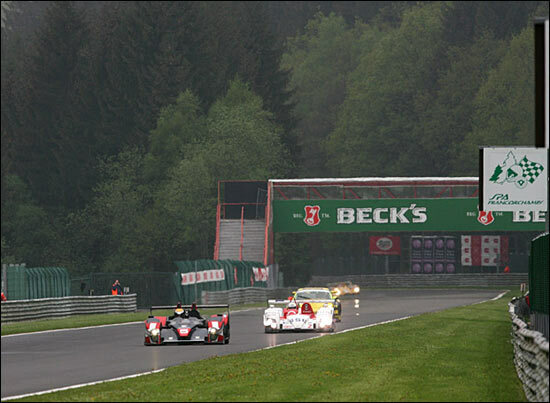 With a best result of second at the Le Mans Series event at Spa in May, Harold Primat’s Swiss Spirit team has been a welcome and competitive addition to the LMS and Le Mans grids this season. It’s therefore no surprise to find that the team has confirmed that its programme continues into 2007, running the same Courage LC70 Judd. Swiss Spirit will need to find a new team manager though, Serge Saulnier having been confirmed as the team manager for the Peugeot Sport Le Mans project. “My appointment as Team Manager of Peugeot Sport does not change anything for Swiss Spirit’s 2007 programme,” says Saulnier. “The rest of the team personnel will remain unchanged and the team will continue to run and develop the Courage-Judd-Michelin LMP1 car. That shouldn’t be too much of a concern for the Swiss team. Currently the team is fourth in LMP1 on 11 points, behind Pescarolo Sport (40), Chamberlain-Synergy (15) and Creation Autosportif’s #9 car (14).